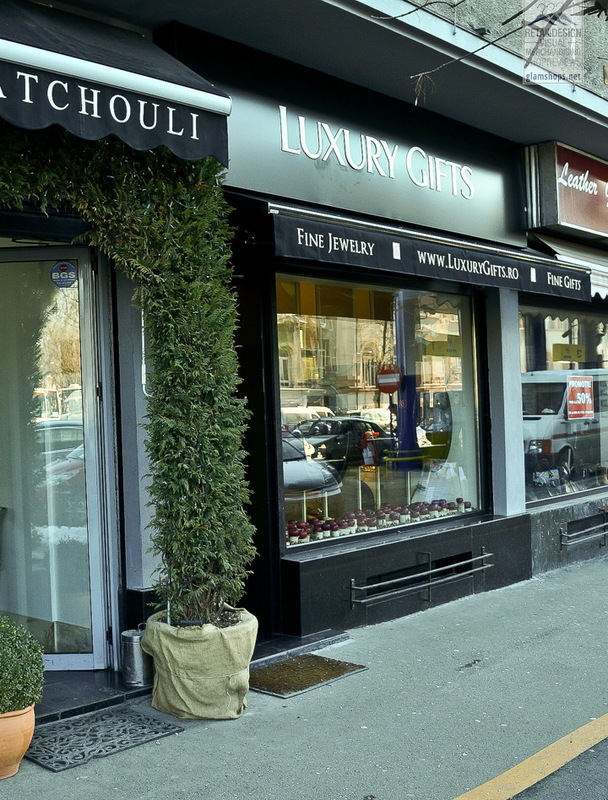 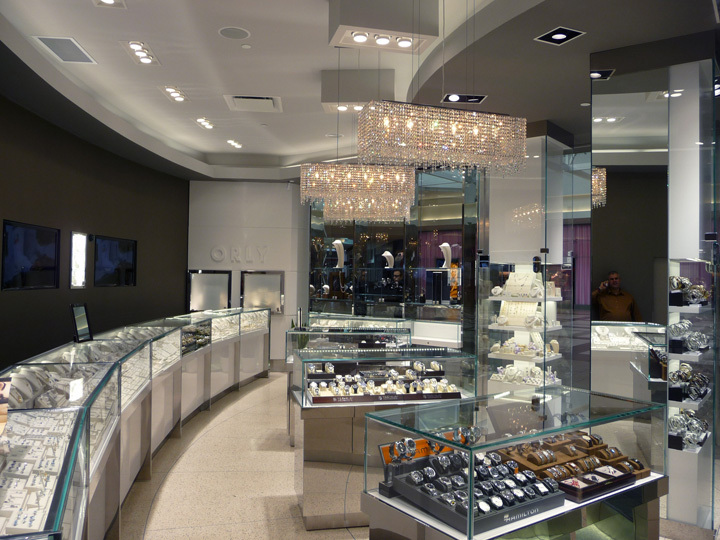 The goal for this project was to create a clear luxurious interior and maximizing the display space without damaging the existing wall structure of the store. 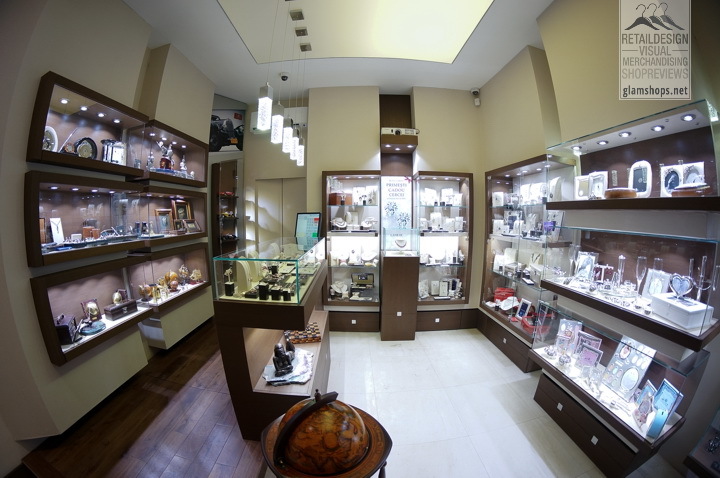 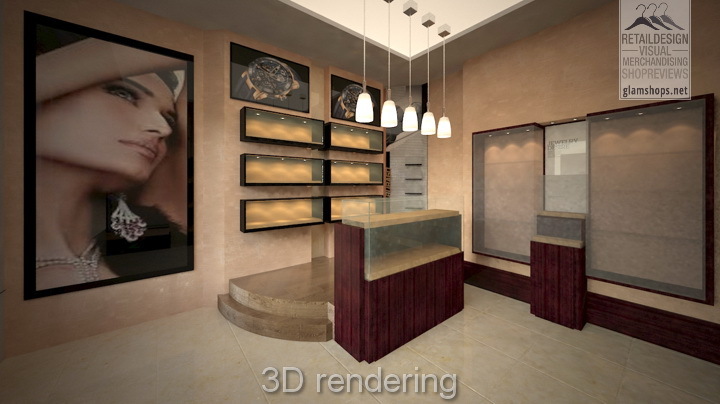 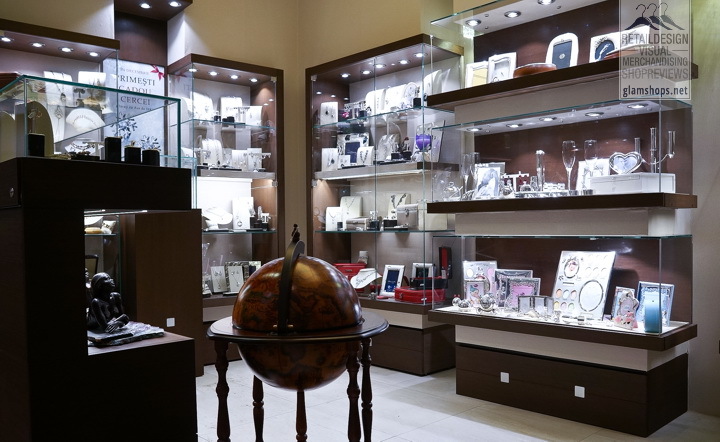 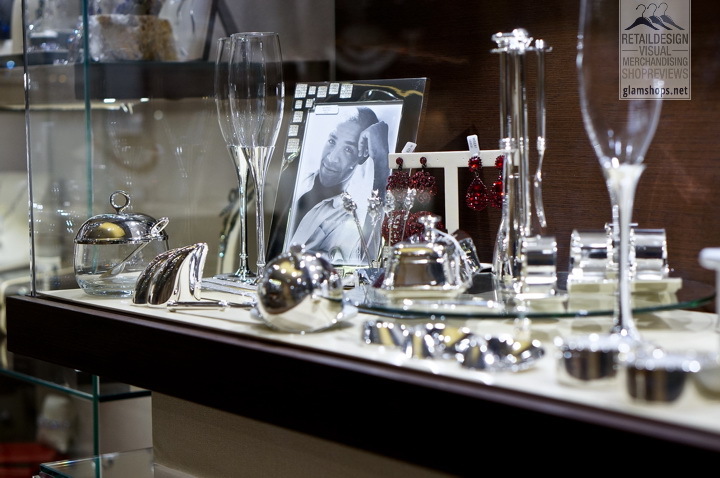 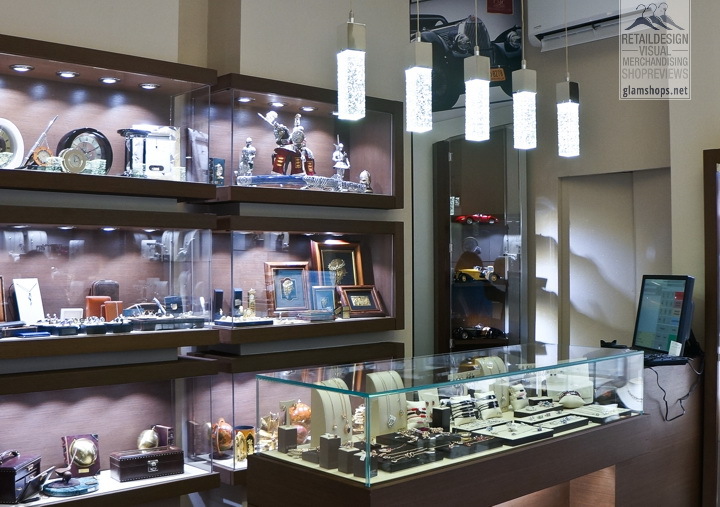 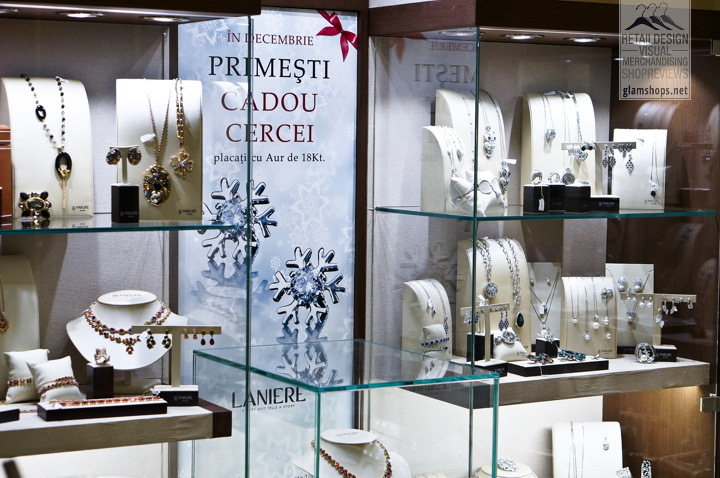 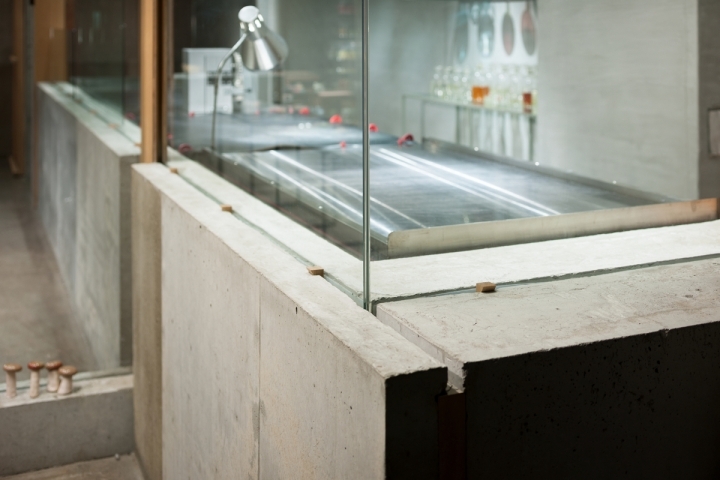 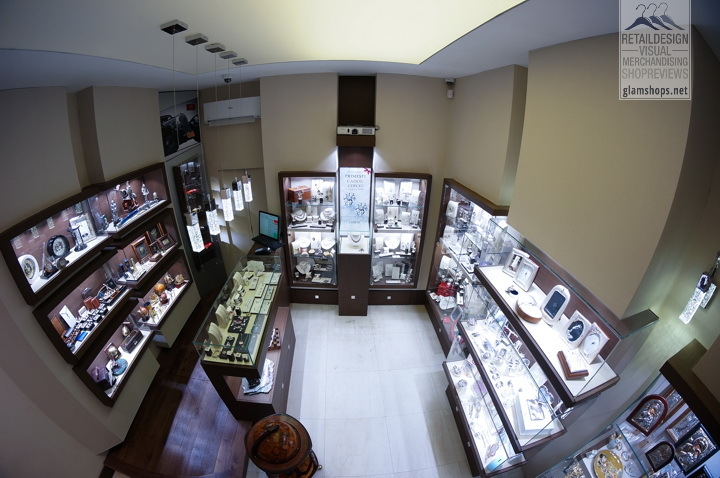 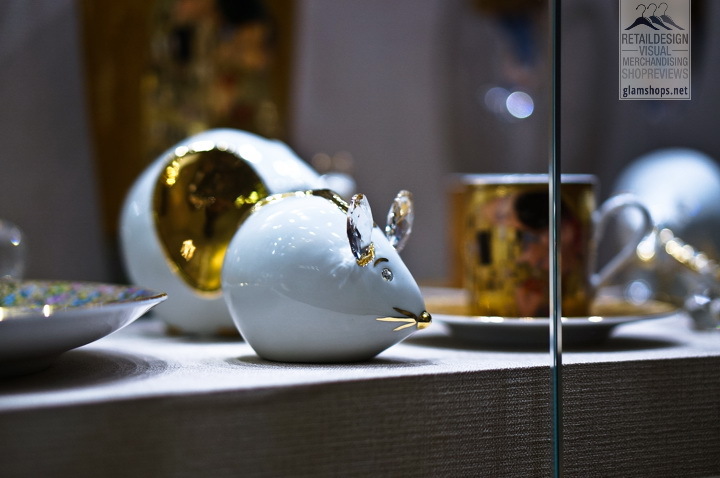 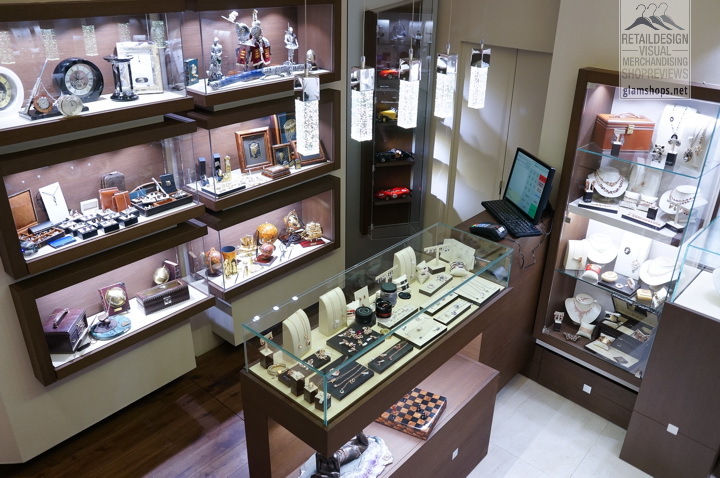 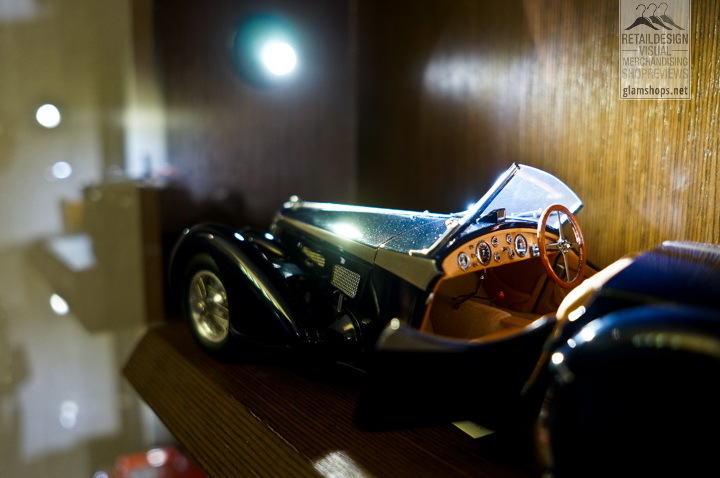 The display cases were adapted to the store profile and needs, characterized by relatively high volume of merchandise. 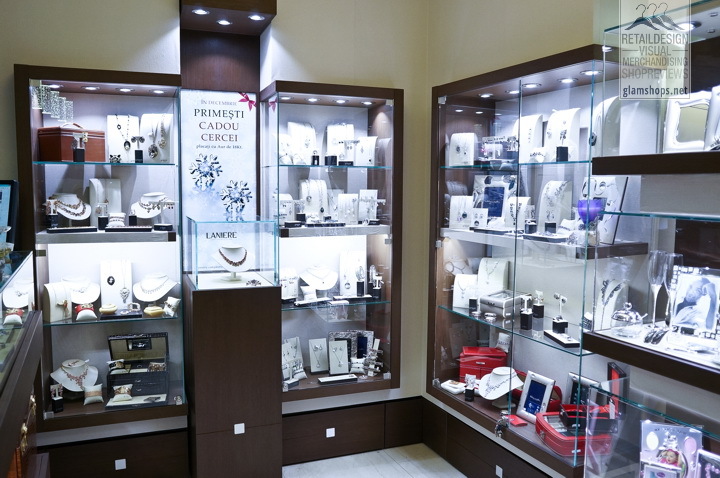 So we didn’t use the classical shadow box systems usually found inside jewelry stores. 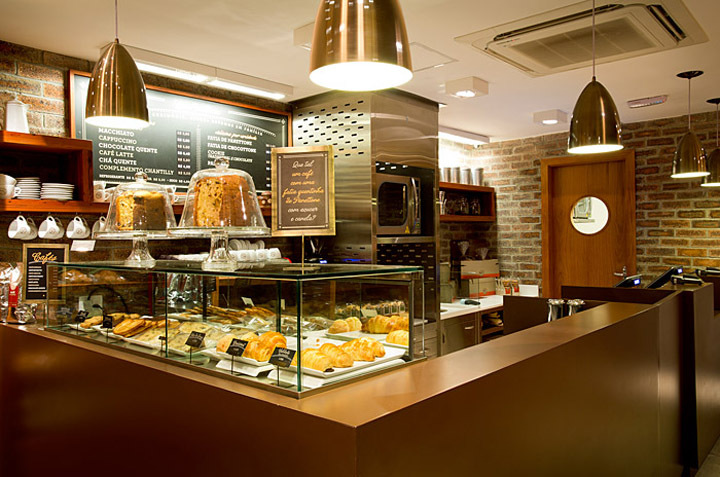 Using predominantly wall fixture, we manage to give the interior a more airy look, despite the existing 19 sqm available inside. 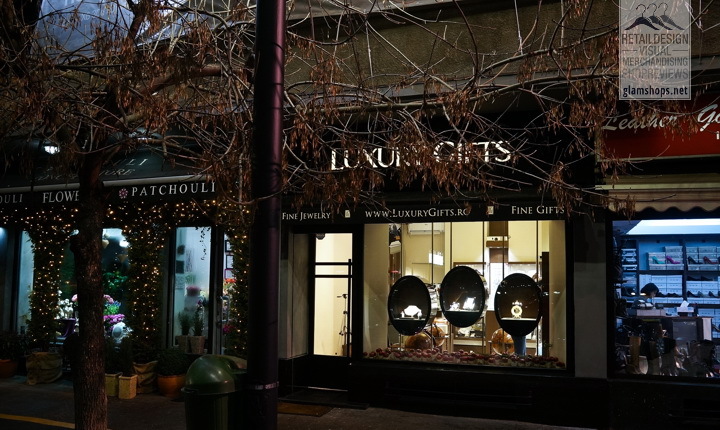 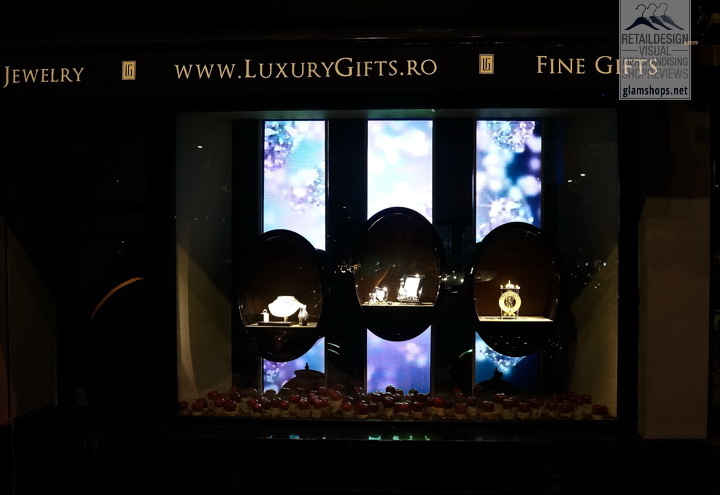 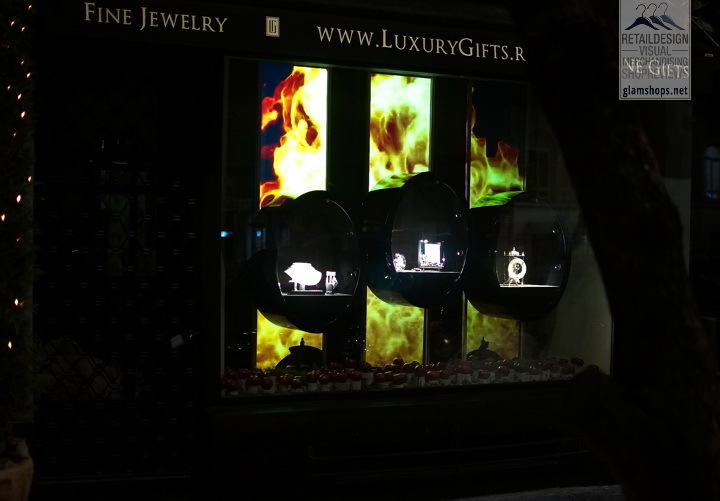 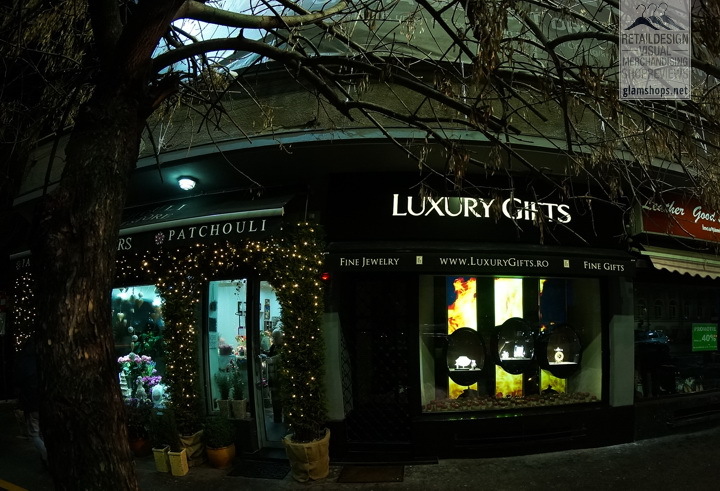 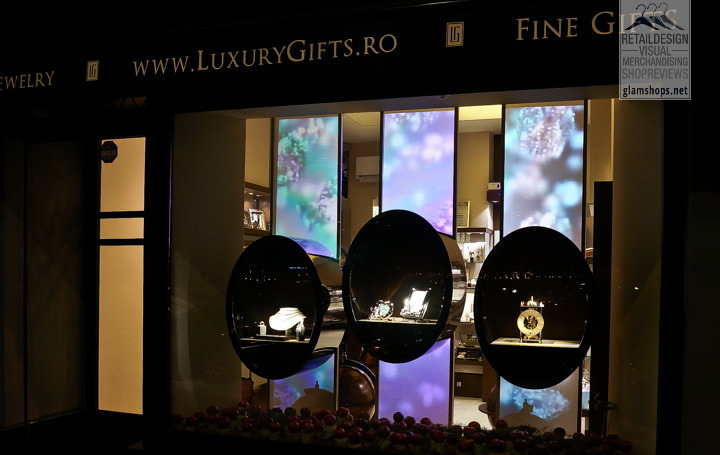 The windows display was designed to attract customers, during both day time and night time. 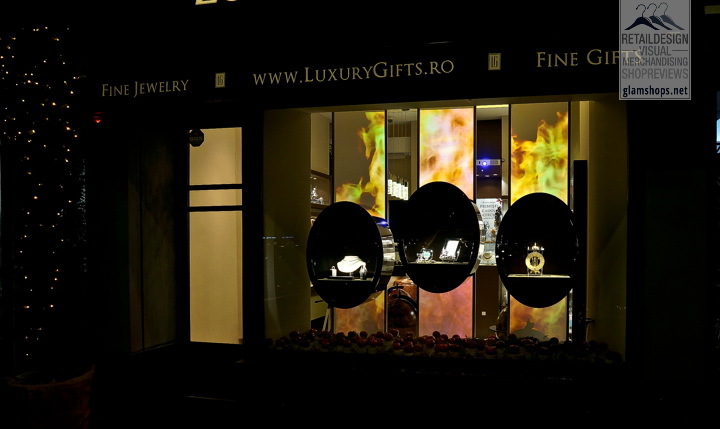 3 metal frames with 3 MDF “egg forms” with glossy black finishes, will capture the client’s attention. 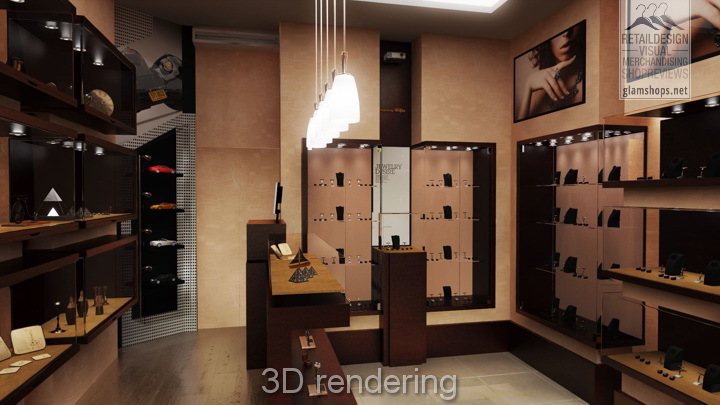 In the same time the structure will allow the passerby’s to peek inside the store. 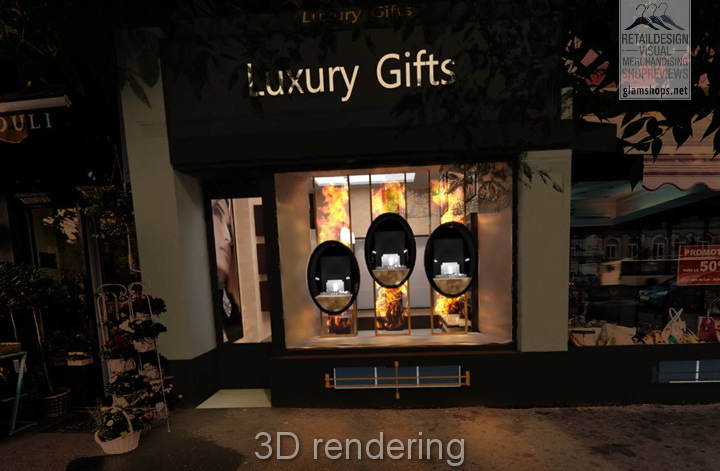 The back of the metallic structures is covered with rear projection film panels and with the use of a custom made animation, the windows display manage to be an eye catcher even during the night time.